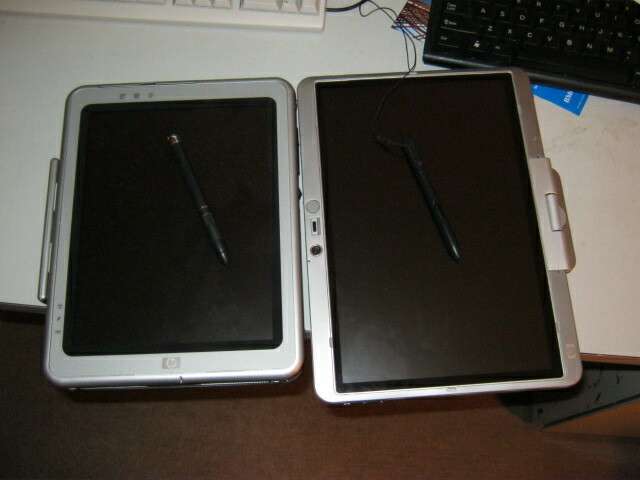 After my tablet broke I’ve decided I cannot afford the time or the money to get another one. Someone suggested that I get one from the store and return it in the 10 days or whatever they allow for laptops. While I was considering that I wrote an email to Dawn Mercer, a research consultant at the Seneca Office of Research and Innovation. I got my bachelor’s degree at Seneca and worked on more than one project in her office. She had a tablet and was willing to lend it to me for my research! Thanks Dawn, you’ve saved me a lot of trouble. 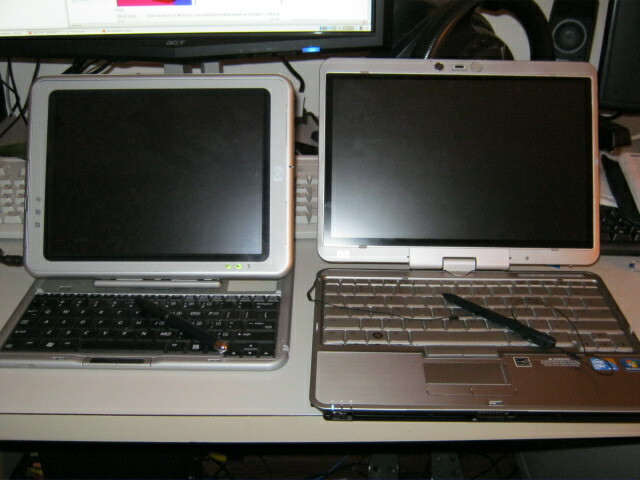 The EliteBook 2730p is a beast compared to my little TC1100. It’s not just a good laptop today, it’s a great laptop, and a tablet on top of that. 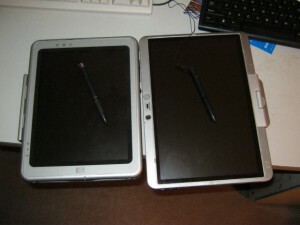 It’s heavier and bulkier but the screen is considerably bigger and it runs much faster (which makes Slice more smooth). 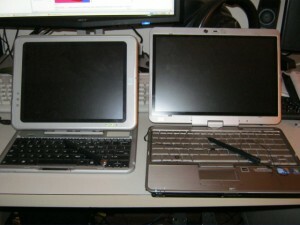 Also the keyboard is much closer to a full size, rather than miniaturized as in the TC1100. That’s important because one of the earlier participants refused to use the TC1100 keyboard and I had to plug in a USB keyboard. The most important part was the accuracy of the stylus. On most of the screen it was really good, but within 5-10 cm north of the hinge it was terrible. Calibration was useless, I couldn’t even touch the bottom crosshairs. It turns out this is a common problem with the model, I even found a claim someone returned two tablets under warranty and the third still had this problem. During my search I found some magic command-line parameters I could give to the windows calibration software that would increase the number of crosshairs from 16 to 64. That helped to make the tablet useful for my experiment, confining the problem to under 1 cm north of the hinge, so the problem only really affected the Slice scrollbar. The rest of my experiments were run on the new tablet.